Most children are vulnerable and very impressionable when growing up. The mind of a child is very delicate and adults often inadvertently affect the inner workings of a child’s development cycle. According to James P. Comer, a professor of child psychology at the Yale University School of Medicine’s Child Study Centre, a child’s healthy psychological development includes a good deal of self esteem and self awareness, with an ability to manage his or her emotions. 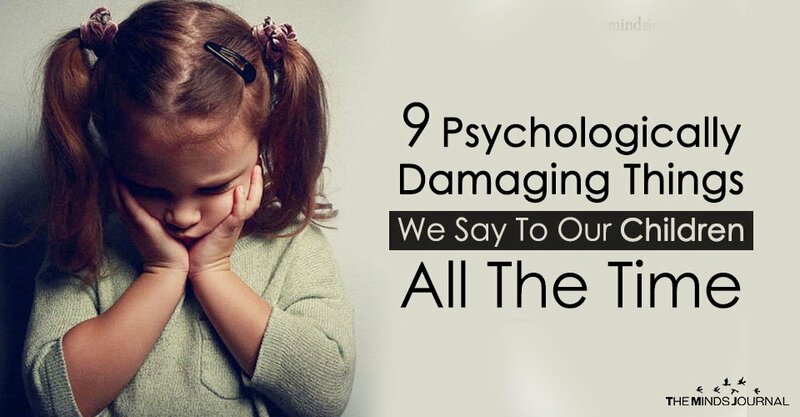 You should stop telling kids that they are over reacting or are too sensitive. Our emotional coping mechanism are complex and each different from the other. It is damaging to suggest a child that they should suppress their emotions and you should encourage them to understand the cause of the feelings and resolve the mental turmoil in a healthy way, allowing for sensitivity and grace. This is a phrase that is used all the time by peers and parents alike, when they are confronting bad times and emotional turmoil. As a parent, you should be able to stop evaluating the situation for the child and try to ease it instead. Blanket statements are not too good at resolving turmoil. This could be psychologically damaging and very unnerving or upsetting for the child to get over this phase. You inadvertently train the child to simply accept the uncomfortable and disturbing situation as “part of life” and hinder his or her healthy outlook on life. The Aware Parent Institute has come up with a revelation, that most children cry to not show that their hurt but the fact that they are gradually becoming unhurt. But experts suggest that we should allow for the child to cry in peace for the long term emotional peace and psychological growth. In fact, asking a child to stop crying may be akin to seeing a cut stop bleeding on its own without medication. It may be noise that the child creates while crying, but it is an impactful experience that rids him or her from bad emotions. This is a very popular response that adults use when they want to shut a child’s questions or his insistence on an answer. This kind of a statement implies that the adult is always in control of the situation and any type of curiosity and questioning is very irrelevant and not worthy of any address. This also passively tells a child that his or her internal conflicts and questions are not worth any explanation and outward exploration is unnecessary. Instead, if a child asks questions, it is imperative for the parent to comprehend and answer, understand and not dominate the child.